It’s that time again and Who Takes the Cake? March Voting is OPEN!!! YAY!! For this “green” themed month, I had a whopping 156 entries!! Ya’ll – that makes me so happy! However, keep reading, because I’m changing things up on the voting this month! Are you ready to vote on the March Who Takes the Cake? Contest? As I mentioned, the theme was Green? This month you’ll be voting on the TOP 23!! There were 156 ah-mazing entries this month and after working on it for the better part of a day, me and my crew had it narrowed down to 23! #1 Simply click on the pink “VOTE” button below the picture of the cake/sweet you like best and your vote is counted. Do you want to see the photos larger? Simply click on them and a new window will open with a full-size photo! Every person is allowed only one vote per cake, for the duration of the contest! (no longer can you come back and vote again every day). However, if you’re in love with a particular cake, you can certainly share and tell your friends to vote too! #2 Click over to Facebook and “like” your favorite photo there and every “like” will also count as a vote! And again… share that photo with your friends and ask them to vote too! Voting will begin TODAY, March 23, 2016 and end on March 29, 2016, 11:59pm CST. UPDATE: This contest has ended and the winner was Sandra Cimon from La Cakerie! I’m just curious as to what you are looking for when you pick the top cakes. With the themes being so general, ie green, I wonder how it you decide who makes the cut. Nothing against anyone you have selected but some have very little green and others are quite basic and don’t seem to be on the same skill level as the 3D or very detailed ones that have been chosen. I know it must be really hard to pick but it would be great to have an idea of how you judge them. 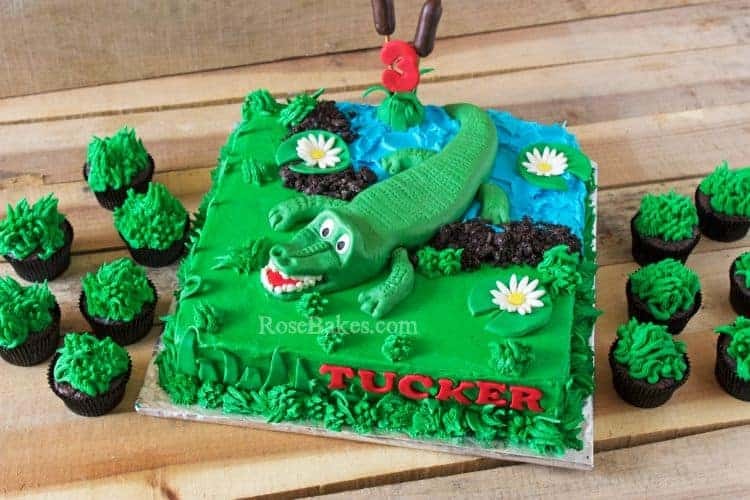 My team and I select cakes based on many factors Kelly… they’re listed here: https://rosebakes.com/takes-cake-contest-faq/. Feel free to email me or leave a comment there if you have other questions! Thanks Rose. I probably read all that info the first time I entered & have since forgotten about it. I entered my cake and it’s not there to vote on….I did get a confirmation that you received the picture…was it not good enough??? I am just starting out. There were 156 submissions and so my team and I had to pare down a lot of good cakes. I have more info on how we choose cakes here: https://rosebakes.com/takes-cake-contest-faq/. Keep caking and learning! Who won?? I don’t recall seeing this announced. Did I just miss it? Thanks for the update. That is too bad that she didn’t get back to you. Can you show us the picture of the cake that won? I finally heard back from her and her post with the cake will be published tomorrow!